It has been several months since the unprecedented and greatest holy feat started to be spread by praises in the Buddhist World! In December last year, Elder Dharma Master Yin Hai informed His disciples ahead of time that He was about to enter nirvana. Based on the Elder Dharma Master’s causes and affinities, the condition for a holy assembly of 100 sessions would mature at the time of His entering nirvana. This holy assembly could not be decided by human actions, nor could it be determined by Elder Dharma Master Yin Hai or a Buddha at a higher level. Such holy assembly is due to the rising of the causes and affinities of a kind of great event. Exactly as forecasted, on January 15, 2017 and in the state of California of the United States, the Elder Dharma Master instantly entered nirvana in a state that was completely free of any symptom of illness and accomplished an incorruptible Vajra body. Ten days later, the Elder Dharma Master’s holy flesh body manifested a miraculous transformation, which created a new chapter in the history of Buddhism. The Elder Dharma Master was the chief teacher of the Tripitaka of sutras, vinayas, and shastras (commentaries) at the United International World Buddhism Association Headquarters (UIWBAH, now the name has been changed to the World Buddhism Association Headquarters (WBAH)). The magnificent situation manifested when He entered the nirvana is compatible to the Elder Dharma Master’s realization and status: a Yu Zun at the level of Golden Button Grade 4. His dharma throne has now returned to His upper-level lotus seat in the Pure Land. Elder Dharma Master Yin Hai was a hidden practitioner in great cultivation. Still, many abbo ts of temples and monasteries possessing rather high realizations were His disciples. Wang Zha Shang Zun, who leads the dharma affairs at UIWBAH and served as the chief proctor in the examination held recently by UIWBAH, is also His disciple. The examination in the holy realm using the Vajra Battle Position was a dharma transmitted from Yin Hai Yu Zun (aka Tai Zun) to Wang Zha Shang Zun. Several decades ago, the Elder Dharma Master traveled west and moved to the United States to cultivate and practice privately. The accomplishment He realized from cultivation and practice manifested publicly before numerous Buddhist disciples. The magnificent manifestation from the scene of His nirvana provided a way to broadly save living beings and point them toward the path of accomplishing Buddha-hood. Moreover, His magnificent accomplishment and holy feats also showed that the dharma He learned from H.H. Dorje Chang Buddha III (H.H. 第三世多杰羌佛) is utmost high and the holiest. You can all ponder the significance of this. How can severed foot tenderloins grew back to normal! A revival occurred five days after death. Yin Hai Yu Zun revived after His death and lived more than ten years since then. From that time to the time of His entering nirvana at the beginning of this year, the Elder Monk never had any illness or misfortune. The most mysterious and miraculous fact is that the Elder Dharma Master’s health was always as healthy as a young person from every physical examination He took. 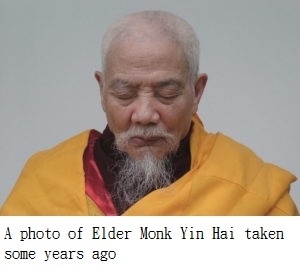 What happened this time was that the Elder Monk suddenly left the world in an instant of one second in a state that was totally free of any symptom of illness or calamity. Being able to live or die according to one’s own wish means one has truly realized the freedom from birth and death! In the earlier years, Elder Dharma Master Yin Hai manifested many holy feats of miraculous transformation. After a miraculous transformation, His muscles and skins were as fine, tender, and smooth at that of a new-born baby. Furthermore, such holy state was maintained for as long as six years. This is the result of practicing the dharma of reversing old age back to youth in the Supreme and Unsurpassable Mahamudra of Liberation. The miraculous transformation that the Holy Venerable manifested this time after entering nirvana once again prominently showed the high and profound stage and state of His realization and is an unprecedented holy event in the history of Buddhism. The Elder Dharma Master is the one and only holy venerable who manifested miraculous transformations after entering nirvana from ancient time to the present. He wrote a new holy chapter about nirvana in the history of Buddhism. Please ponder deeply again on who caused a dead person to revive. The cause is the Holy Venerable’s accomplishment and practice. WBAH is densely populated by outstanding persons and holy ones. From what I know, there are a t least two Yu Zuns at the level of Golden Button Grade 4, two Shang Zuns at the level of Golden Button Grade 3, two Jiao Zuns at the level of Golden Button Grade 2, and four Ru Zuns at the level of Golden Button Grade 1. The Holy Assembly of 100 Sessions was presided in person by Yin Hai Yu Zun and Wang Zha Shang Zun, as well as Gekan Deqian Shile Yu Zun and Diou Ke Shang Zun. This sentence truly sounds miraculous, “The Holy Assembly of 100 Sessions was presided in person by Yin Hai Yu Zun,” a person who has already entered nirvana and is laying in His coffin. How could He preside over the holy assembly? Actually, “this death is really not a death.” The death of a flesh body is really a false death. Though Elder Dharma Master Yin Hai had died, various signs of life continued to appear, including the continual growth of His beard, gradual changing of His facial type from a thin and bony face to a fully figured one, having finer and tender skin day by day, and even the growing longer of His fingers. These phenomena went against the process of formation, abiding, decaying, and vanishing and manifested an appearance of reversing old age back to youth after death. Such change in one’s appearance can only appear as a result of practicing Buddha-dharma. This fact shows that the Elder Dharma Master’s spiritual existence is unlike that of an ordinary being which has to reply on a stinky body packed inside the skin and, rather, is the manifestation of the treasure from Buddha-dharma. A public announcement issued by UIWBAH pointed out the nature of this “Holy Assembly of 100 Sessions,” which means it is a grand dharma assembly of tremendous holiness. Specifically, it is a grand dharma assembly led by tremendously holy ones. For instance, the “Vulture Peak Dharma Assembly” held by Sakyamuni Buddha was over once it ended. There is no such a thing that any dharma master or holy virtuous one can hold his/her own “Vulture Peak Dharma Assembly” at any place. This is because the “Vulture Peak Dharma Assembly” was a specific and unique dharma assembly. As another example, the “Sutra-Gathering Assembly” held at Saptaparna-guha no longer exists after the meeting ended. Even if another 200 holy ones and Arhats gather there again to talk about and discuss the teachings from the sutras, there can never be a “Sutra-Gathering Assembly” again. The “Sutra-Gathering Assembly” is defined by its specific time, location, dharma matters, and presiding holy ones and is a unique dharma assembly with definitive characteristics. 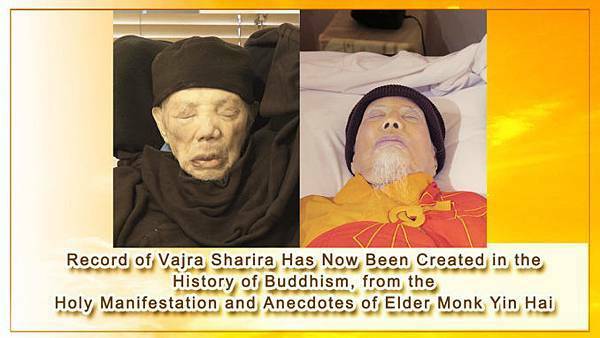 Due the limitation of the funeral home located in the Los Angeles area in the United States, there was no way to keep Elder Dharma Master Yin Hai’s flesh body there for too long. 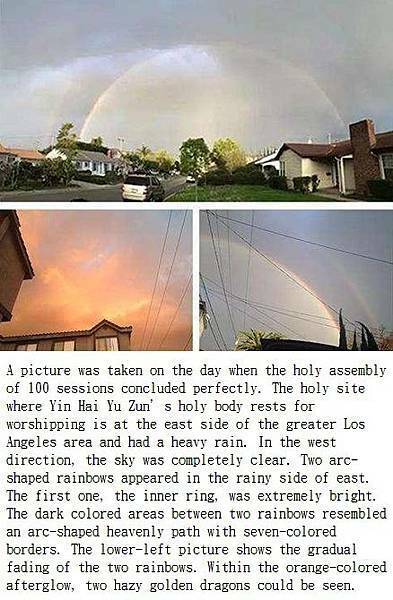 With the responsibility to make arrangement for the holy assembly of 100 sessions, Wang Zha Shang Zun decided on the eighth day to move the holy flesh body to the Kuan Yin Hall at a temple in the greater Los Angeles area that was not open to the public yet. At the moment when H.H. Dorje Chang Buddha III (H.H. 第三世多杰羌佛) consecrated the Kuan Yin Hall where the holy flesh body of Yin Hai Yu Zun was to be worshipped, a heavy rainstorm immediately stopped and the sky became completely blue without any cloud in sight. At that time, about 1000 vajra parrots (Note: the number is about 1000, not several dozens.) flew over from afar and encircled above the Kuan Yin Hall for several dozens of rounds. The roaring sound of the parrots was ear-trembling, as if the buildings and the ground were shaken. The parrots’ praising applause even caused swirling waves in a tea cup on the table. Please imagine how rare and magnificent the scene was! Their performance lifted the curtain for the Holy Assembly of 100 Sessions. The arrival of such a crowd of about 1000 vajra parrots was extremely auspicious and magnificent. After that, Wang Zha Shang Zun made the arrangement to have the seven types of Buddhist disciples chant sutras in front of the holy body every day. On each day, three dharma assemblies were held. During the entire period of 24 hours, there were always 6 to 8 people chanting the holy name of Kuan Yin Bodhisattva without a pause. Since Holy Venerable Yin Hai had practiced The Supreme and Unsurpassable Mahamudra of Liberation in combination with the dharma of Red Kuan Yin of Magnificent Ocean of Great Compassion, His holy body worshipped in the Kuan Yin Hall emitted special fragrant scent or light from time to time. Watched by all people’s eyes, the holy body underwent a miraculous transformation day by day. According to what I, a humble cultivator, saw with my own eyes from attending the three dharma assemblies every day for several consecutive days, the Yu Zun’s holy body gradually turned whiter and more delicate each day, His beard was growing day by day, and His facial complexion became more lively red every day. His appearance became more and more perfect and majestic as time went by. On the tenth day after His entering nirvana, with a permission from H.H. Dorje Chang Buddha III (H.H. 第三世多杰羌佛), Great Dharma Masters Ruo Hui and Miao Kong who are the abbot and deputy abbot respectively of Hua Zang Si, Great Dharma Master Long Hui who is the head of Hua Zang Buddhist Institute, Abbot of the Pagoda Temple Xiongge Qiongwa and Long Zhou Rinpoche who are the co-founders of True Buddha-Dharma Center, Great Dharma Master Jue Hui of International Buddhism Sangha Association (IBSA) and others used their hands to touch the Yu Zun’s holy body and found that the holy body was as hard as a Vajra stone. Great Dharma Master Long Hui, who once performed the dharma of Five Thunder True Dharma Palm to break an orange tree at a distance of more than 10 feet, stated publicly that she purposely applied a large force to press the Yu Zun’s cheek which is typically the softest spot and her hand was reflected back. The Yu Zun’s muscle was as hard as a rock and exerted an unimaginably large force of reaction. This fact made the attending crowd realize in astonishment that the Yu Zun’s holy body leaped through the common procedure of waiting for three years while the holy body is covered by a large vase before checking whether the holy body of one who has attained very good accomplishment is incorruptible and turned into a whole-body relic after only ten days. Additionally, the holy body showed a miraculous transformation to manifest a perfectly majestic appearance! Before transforming into a rainbow body, the remains of one who has attained a great accomplishment in Buddha-dharma cannot be to uched by people. In particular, if contacted by one who has violated precepts of esoteric Buddhism, the invasion and disturbance of karmic force would prevent the body from transforming into a rainbow body. That was why Wang Zha Shang Zun was very angry about the more than 10 people who even touched the Yu Zun’s holy body. The Shang Zun said that, although the holy body had been touched by more than 10 people, it was fortunate that the Yu Zun was not affected due to the rather high stage and state He had attained. After that incident, no one was allowed to touch or contact the Elder Dharma Master’s holy body that had already turned into a Vajra body. Still, this incident did not affect the miraculous transformation incurred in the Yu Zun’s holy body. The Yu Zun’s holy body rested in open space through the entire process without being stored in a freezer at all and was in the same chamber as the attending crowd was in. The coffin was only covered by a transparent acrylic encasement, to prevent dust brought up by the many people from contacting the holy body. According to common knowledge, after undergoing such a process for so many days, a person’s remains should have corrupted and should have been generating stinky smells long ago. However, the Yu Zun’s holy body only became more and more majestic as time went by. Cultivators who entered the hall where the coffin was rested felt an atmosphere of auspiciousness and peace, as if being in a different space that is filled with bliss. I drove there by myself. When I left during the day after a session of the dharma assembly had ended, the sky was always embellished by auspicious clouds. On a sunny day, the view was truly splendid and beautiful while hearing blissful bird singing along the way. When driving toward the temple in the evening, I saw the bright illumination of a clear moon surrounded by auspicious clouds. Sometimes, the Moon and the stars emitted competing light rays. The penetrating sound of clear and loud singing of birds crossed through the otherwise silent and tranquil sky embedded with stars. According to the law of the United States of America, staff of a funeral home must move the body to the burying ground no later than the 32-th day. On the eve of the burial, the professionals working at the funeral home who came to examine the body found: After 31 days, the original physical characteristics of the Elder Monk lying in the coffin had totally disappeared; An elderly thin person with a protruding bony face full of wrinkles turned into a totally different person with a perfectly majestic appearance; His purely white beard not only grew longer and denser but also had three black strains added. Moreover, two of the fingers also grew longer. Facing such unprecedented magnificent scene, the professionals at the funeral home who had processed countless dead bodies were stunned and offered praises and respect repeatedly. On the 32-th day, the Holy Monk’s revered body was moved to the holy site for burial and worshipping. Rituals and orders of Buddhism were follo wed. With four rinpoches including Gongga Rinp[oche, Chuanggu Tulku and others carrying the coffin, the holy body arrived at the holy site. When the dharma assembly of chanting sutras started, we saw several dozens of eagles circling above the holy site at a low vertical height of several stories from the attending crowd! In esoteric dharmas, eagles represent the Golden-Wing Garuda while crows represent the Mahakala Dharma Protector. The presence of a crowd of eagles encircling at the site symbolizes the arrival of the Golden-Wing Garuda to manifest the dharma and that Sakyamuni Buddha came! Also present were herds of crows representing the Mahakala Dharma Protector. They were lingering in the sky above the holy site, while singing praises in the language of birds. What did this fact show? It showed that the accomplishment of Elder Dharma Master Yin Hai was praised by Sakyamuni Buddha! After the site was moved from the Kuan Yin Hall to the holy place at the Rose Hills Memorial Park, the Holy Assembly of 100 Sessions continued to be held every day. At the start of each session of the dharma assembly, the staff members of the memorial park at the site saw that eagles and crows would fly over, with unusual body movements while flying and somewhat different tones of singing. They would immediately fly away at the end of the dharma assembly. Such holy manifestations and expressions of the dharma were certainly a part of leading the holy assembly by Elder Dharma Master Yin Hai. By definition, the “Holy Assembly of 100 sessions” must comprise 100 dharma assemblies held and completed at the site that is where the Elder Dharma Master is. Then, how did the holy assembly of 100 sessions conclude? On the day when the holy assembly of 100 sessions had the perfect ending, the great Los Angeles area was raining on the west side but the sky was clear on the east side. An extremely obvious double rainbow appeared in the sky. As the rainbow gradually faded away, two golden dragons emerged from the orange-colored afterglow, expressing the praises from both human and heaven realms. I specifically took a picture of this magnificent scene to share with all. Also, the trees of red flowers planted above the holy place had branches that had grown densely and fully bloomed with flowers all over the trees, showing a sign of prosperity. In contrast, the trees near other graves planted with the same spacing between them had only dried branches and almost completely withered flowers. I also took pictures to provide a proof of the magnificence of this holy place. The accomplishment and holy realization of Elder Dharma Master Yin Hai achieved the status of “Yu Zun,” which represents the level of Golden Button Grade 4 in the system of grade levels published by UIWBAH. This level is only next to the level of Golden Button Grade 5, which is for Bodhisattvas with universal enlightenment or wonderful enlightenment. That is why Wang Zha Shang Zun called Him as the first-place holy monk in the current world. His accomplishment means He is not a common holy monk and, rather, He is a top-level holy monk. That is why he absolutely cannot be described with titles such as elder monk, great virtuous one, or elder dharma master. With the perfect conclusion of such magnificent holy assemblies of 100 sessions, what kind of merit was produced? The merit is greater than that accumul ated from holding several thousand or even several ten thousand sessions of dharma assemblies. The opportunity of attending such a holy assembly is truly hard to encounter even in millions of kalpas. Wang Zha Shang Zun who is at the level of Golden Button Grade 3 will hold the Initiation of Dharma Affinity with the Yidam for cultivators who have a perfect attendance of the 100 sessions of the holy assembly. The merit required for receiving this Initiation of Dharma Affinity with the Yidam cannot be achieved by a common cultivator even after cultivating for several thousand or more than ten thousand lifetimes. However, a cultivator who had perfect attendance of the 100 sessions of the holy assembly can gain such merit. During the initiation, your yidam will come to the mandala in person to have a conversation with you and transmit the dharma to you. This is because the merit from the Holy Assembly will give rise to special karmic conditions. It was said that another such holy event took place in this world about 2000 years ago. The attendees dedicated the merit to Buddhas and Bodhisattvas to gather tremendous merit in return to increase their benefits and resources for cultivation. The fact is that the Yu Zun does not need them to assist with the chanting. Rather, the purpose of their chanting Buddhas’ names and reciting sutras is to take advantage of the Elder Dharma Master’s empowerment to create and perfect their resources for cultivation. How could Buddhas and Bodhisattvas need people with stinky bodies of five turbidities to assist with their chanting? Even if you chanted for 1000 years, the merit accumulated would still be less than the Elder Dharma Master’s merit from practicing the dharma for just one day. The School of Buddha represents authentic Buddhism and is not a sect of any patriarch. The fact is that the School of Buddha affiliates directly with the teaching and dharma transmission by the Buddha in person and has no classification in terms of various sects and schools of later generations. Elder Dharma Master Yin Hai also told the Shang Zun that the best and the highest Buddha-dharma of cultivation is The Supreme and Unsurpassable Mahamudra of Liberation. 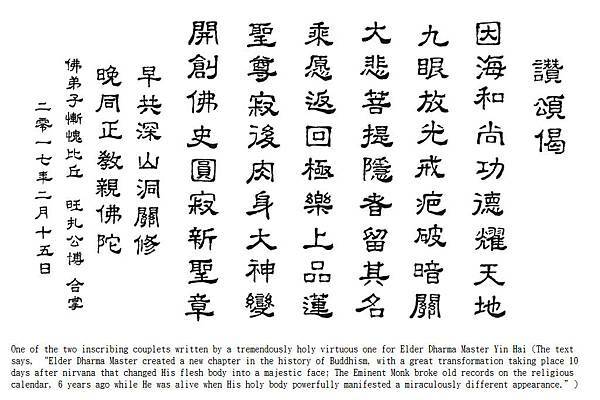 The Vajra dharma transmitted by Elder Dharma Master Yin Hai to the Shang Zun is not just solely in exoteric Buddhism or esoteric Buddhism and, rather, is directly in the Buddha’s Buddhism. For example, the Diamond Sutra mentioned the Eight Great Vajras, including Ucchusma Vajra (the Filthy Vajra) of Tang (Tang is a dynasty in the history of mandarin China.) Esoteric Buddhism and Kalachakra Vajra and Yamantaka Vajra of Tibetan Esoteric Buddhism. In which sect or school should these Vajras be categorized? The truth is that They simply are not in the lineage or dharma tradition of any sect or school and directly belong to authentic Buddhism. Therefore, They are in the School of Buddha rather than the dharma lineages of patriarch masters and belong to pure Buddhism. People wish to know the feats and events in Elder Dharma Master Yin Hai’s life. I once interviewed a Buddhist disciple with the last name of Tang. From what he remembered, it was around the year of 1980 or 37 years ago when he was assigned to go to the airport to receive Elder Monk Yin Hai who was returning to Sichuan after visiting France. At that time, there were eight people who were abbots and khenpos in the Elder Monk’s entourage. This Buddhist disciple, Mr. Tang, said that he felt that Elder Dharma Master Yin Hai was very kind and polite. 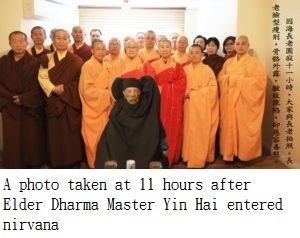 From the two walking distances of from getting off the airplane to the receiving vehicle and from getting out of the vehicle to the lodging room at the hotel, he noticed that the Elder Dharma Master’s feet were always floating in the air, at a distance of 4 to 5 centimeters above the ground! This observation left a very deep impression in him. Later, Master Wan Ko Yee Museum was built in the Dayi County of Sichuan Province. One day before the Museum’s grand opening, Elder Dharma Master Pu Guan who was the 13-th patriarch of Mt. Emei and also the abbot of Kaihua Temple at Mt. Wuzhong which was the first stop in the spread of Buddhism southward, Elder Dharma Master Tong Hui who was the abbot of Long Ju Temple, and Elder Dharma Master Guo Zhang who was the abbot of Jie Wang Temple accompanied Holy Monk Yin Hai to the Master’s Museum. They were disciples of Holy Monk Yin Hai. At that time, the Museum was still under construction with dust and mud all over the site. Also, it had been raining for several days. The road was covered with thin mud and cement paste just mixed for construction. As they walked from the gate of the Jinghuishan Park to the site of the Museum, the path was completely wet and covered with puddles and mud. People had to step on pieces of bricks to go in. With the previous experience, he paid special attention to Holy Monk Yin Hai’s feet. He said that, after walking through the muddy road surface to enter the Kuan Yin Hall, everyone’s shoes were very dirty with lots of mud. The only exception was Holy Monk Yin Hai, whose shoes of white bottoms were completely clean without any mud stain. As He walked inside the Kuan Yin Hall, the path behind Him was completely clean, without any footprints. Simply speaking, Elder Dharma Master Yin Hai did not walk on the ground to get to the Kuan Yin Hall. Rather, He traveled forward while floating above the road surface! This scene was seen by many of the people who were present. If you have a good memory, can you recall the historic incident when Master Bodhidharma, the first patriarch of the Zen School, crossed a large river using a stick of reed? Some people saw that Patriarch Bodhidharma picked up a stick of reed and then stepped onto it to cross the river, without taking a ferry boat. The state of accomplishment that Elder Dharma Master Yin Hai manifested demonstrated exactly the ability to offset gravity and walk in the air. Then, are walking without touching the ground and walking on a surface of water the same thing? What do you think? As I write here, this is the right place to mention the karmic affinity between Elder Dharma Master Yin Hai and Wang Zha Shang Zun who is at the level of Golden Button Grade 3. Wang Zha Shang Zun spoke about the rising of the affinity that caused He and Elder Dharma Master Yin Hai to know each other. The affinity was related to a surface of water. Several decades ago and at the Jinsha River (a big river separating Tibet and Sichuan Province), Wang Zha Shang Zun saw Elder Monk Yin Hai walking on the surface of water to cross the river. From the river bank, He prostrated to the Elder Monk. The Elder Monk turned His face back and asked loudly, “Why do you prostrate to me?” Holding His palms together, Wang Zha asked, “Holy monk, what is this dharma?” The Elder Monk replied, “Dharma has no fixed name. Form is emptiness. Floating on the surface of water is a skin-shallow manifestation.” Wang Zha Shang Zun asked, “Can you keep teaching me the profound esoteric dharma?” The Elder Monk said, “The Vajra Battle Position can recognize and distinguish what is upright and what is evil, and can destroy demons into ashes.” From then on, Wang Zha Shang Zun followed the Elder Monk to enter a cave in a deep mountain to practice the profound dharma in retreat. Figure caption: The Verse of Praise written by Wang Zha Shang Zun for Elder Dharma Master Yin Hai. 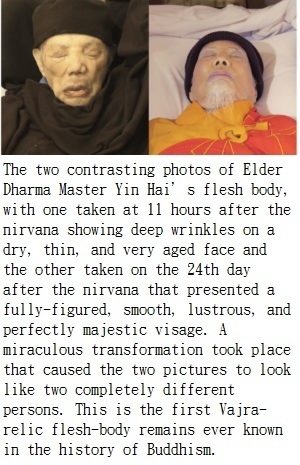 In February 2017, WBAH published two contrasting visages of Holy Monk Yin Hai, one taken at 11 hours after His entering nirvana and the other showing the miraculous transformation occurred 10 days later, another visage of Holy Monk Yin Hai taken some years ago, and the Verse of Praise written by Wang Zha Shang Zun, for the seven types of Buddhist disciples to request respectively. Wang Zha Shang Zun said that He and Elder Dharma Master Yin Hai had received initiations of state practice and the initiation of Buddha-bestowed nectar from H.H. Dorje Chang Buddha III (H.H. 第三世多杰羌佛). Elder Dharma Master Yin Hai is a great holy one who came again from the World of Ultimate Bliss to fulfill His vow and a greatly accomplished one in the dharma of Red Kuan Yin of Magnificent Ocean of Great Compassion Practiced with The Supreme and Unsurpassable Mahamudra of Liberation. He has now returned to His upper-level lotus seat in the Pure Land. As I write to this point, I would like to remind all readers. Elder Dharma Master Yin Hai has left this world, since He attained great accomplishment and returned to His upper-level lotus seat in the World of Ultimate Bliss. As cultivators, we should ask: Where is the source of His accomplishment? Can we also attain the accomplishment like Him to go to the lotus seats in the World of Ultimate Bliss? Would H.H. Dorje Chang Buddha III (H.H. 第三世多杰羌佛) meet me? How should we look for H.H. Dorje Chang Buddha III (H.H. 第三世多杰羌佛) to take refuge in, become His disciple, and learn the dharma? Only that is the greatest voice of good fortune that Elder Dharma Master Yin Hai brought to cultivators. Think about this: As soon as Wang Zha Shang Zun saw Elder Monk Yin Hai walking on the surface of water, He immediately became His disciple and followed Him to practice in retreat in a mountain cave to pursue accomplishment wholeheartedly. This is similar to the situation with Hui Ke, the second patriarch of the Zen School. After knocking off Master Bodhidharma’s teeth, he tried to follow him and chased him to the river side. There, he was told by the mariner that Master Bodhidharma had already crossed the river by stepping on a stick of reed without taking a ferry. He immediately realized that what he did was wrong and went to Master Bodhidharma to beseech the dharma. With a firm determination, he severed an arm to color the snow with his blood, to meet Master Bodhidharma’s requirement that he could only be transmitted the dharma if red snow came down from the sky. Now H.H. Dorje Chang Buddha III (H.H. 第三世多杰羌佛) is staying in this world due to the karmic affinities and holds such supreme Buddha-dharma that can truly liberate living beings to ascend to the World of Ultimate Bliss where beings can rely on mental contemplation to enjoy food, clothing, eternal bliss, and the absence of impermanence. Aren’t we fools if we do not look for His Holiness the Buddha to be received and be transmitted with the dharma? Do we still want to be pulled by karmic forces in the six realms of transmigration or to be deluded by the hollow teachings given by those so-called great holy ones who cannot even guarantee themselves when their life is about to end? One who mistakenly follows a false holy one will transmigrate between birth and death in the six realms of samsara without a date to exit and will have endless suffering without the possibility of being liberated! 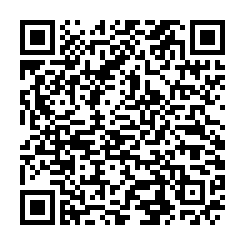 (This article is republished from the public WeChat account of Buddha Voice Broadcasting Alliance (BVBA). Please visit BVBA’s website at www.bvba.co to see more related photos.